V G Thampy's is a unique and compelling voice filled with resonant imageries of man's incessant struggles to come terms with faith and faithlessness. In his poems, faith is freedom and suffering. 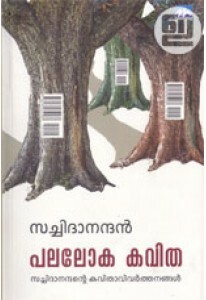 Suckling Eve is a selection from his two collections in Malayalam translated into English by Bindu Krishnan. Opening note by Thachom Poyil Rajeevan.